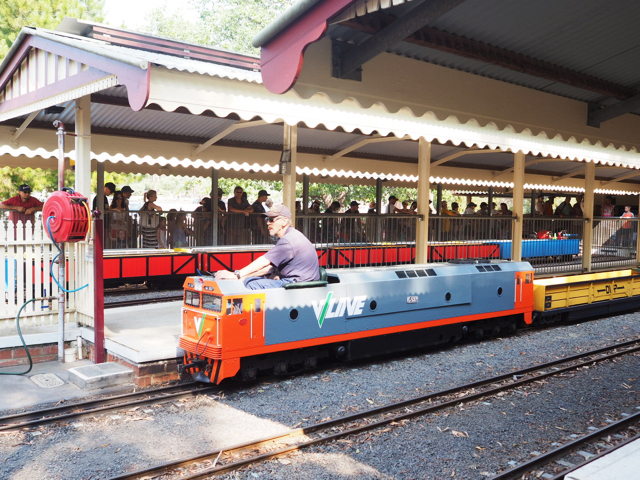 Miniature trains were a big hit for our family when we visited a miniature railway in Sydney recently so we were super excited to hear that Kate and her little ones were heading to Diamond Valley Railway to experience this very popular miniature railway and enjoy the train rides! What a great place for a day out! Thanks Kate for the review and stunning pics. To follow Kate’s adventures, head to her Instagram account @kateflatman. All aboard! 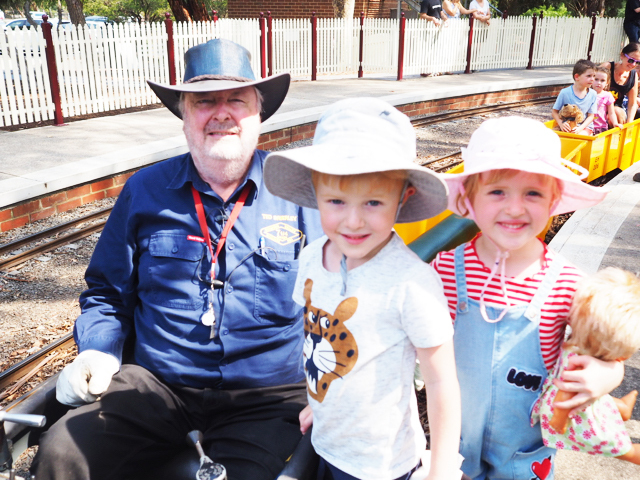 Whether you have a little train enthusiast or are just looking for a fun day out, the whole family will have a ‘toot’ of a time on the Diamond Valley Railway. Known to locals as the Eltham Miniature Railway, the Diamond Valley Railway is one of the most travelled miniature railways in Australia. This popular attraction - run completely by volunteers - has been operating since 1961 and has long cemented itself as one of the best and most affordable activities for families in Melbourne. Open every Sunday 11am-5pm, families can ride the steam, petrol, diesel or electric powered locomotives for only $3 per person. 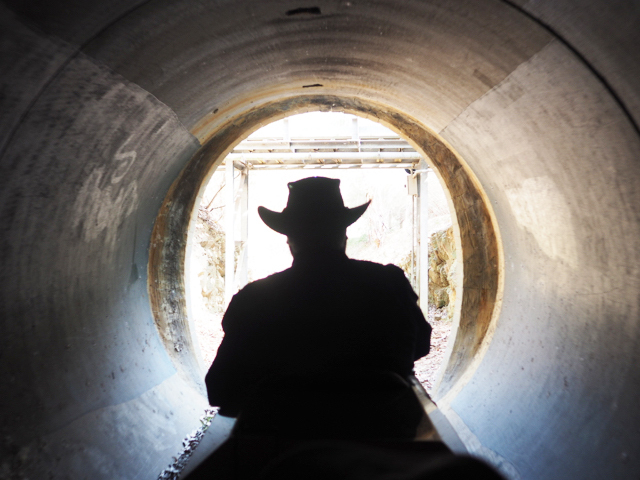 The 15 minute ride - along just over 2km of track - is set in the natural Eltham bushland and takes passengers past several station platforms, carriage sheds, workshops, guard towers and signal boxes, over and under bridges and through crossings and two short tunnels. With several trains running to demand continuously throughout the day, there is plenty of opportunity for little people to watch from the platforms or bridges and wave to other trains and passengers passing by. This also helps reduce waiting times too, with more trains put on during extra busy times. Make a day of your visit to Diamond Valley Railway and check out one of the nearby playgrounds. Located opposite the railway, The Eastern Eltham Copper Butterfly Reserve (also known as Eltham Lower Park Accessible Play Space) is the larger of the two playgrounds and ticks all the boxes for an awesome adventure! Featuring BBQ’s, shaded picnic areas, swings and flying fox, sand pit and water play plus tactile panels with Braille and Auslan symbols throughout the site and sculptures. 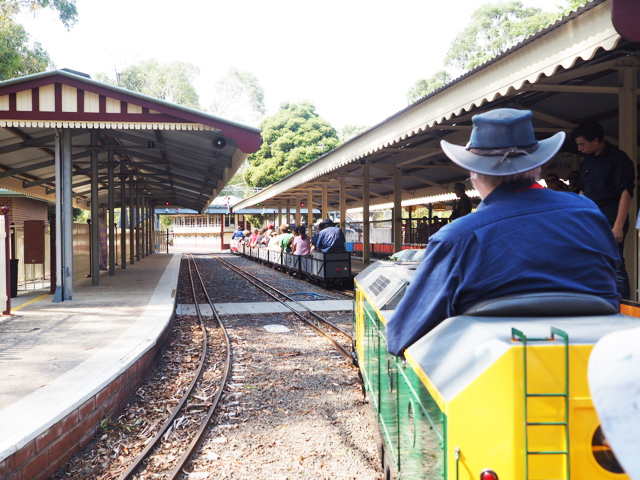 If you’re looking for something a little different to do with the family and keen on taking a short drive out to Eltham, we highly recommend visiting the Diamond Valley Railway for a ‘chuffing’ good time! Toot toot! 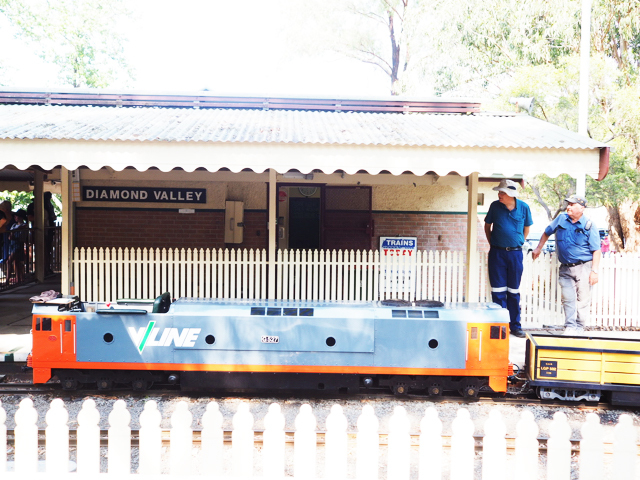 Diamond Valley Railway is located at Eltham Lower Park in Eltham. The railway is every Sunday 11am - 5pm and selected public holidays. The ticket office opens approximately 15 minutes before the advertised start time and closes 10 minutes before the advertised closing time. It’s just $3 each for a ride on the Diamond Valley Railway. Children under two ride FREE! Cash sales only. Free car parking is available but can be a challenge when busy. If possible, drop an adult off to buy tickets and join the queue while the other driver finds a park. Make sure that you listen to the advice given when disembarking from the train. You don’t want anyone to end up on the tracks! Bring a picnic to enjoy in one of the nearby playgrounds or purchase a sausage from the sausage sizzle stand run by the local Rotary Club. There is generally an ice cream and coffee van on site too. Prams are not permitted on the platforms but pram parking is available near the ticket office. Public toilets with change facilities are located adjacent to the railway closest to the Eastern Eltham Copper Butterfly Reserve. Special trains and picnic sites may be hired for the exclusive use of groups, birthday parties etc. Keep an eye on the Diamond Valley Railway website and Facebook page for information regarding their two, very popular annual events; the Community Night Run (with the railway running continuously for twelve hours all the way from 11am to 11pm) and the Teddy Bears Picnic which is held over the Queens Birthday weekend. Busy City Kids visited the Diamond Valley Railway at their own expense for entry fees, rides and all. Our opinions & feedback are always genuine & truthful. For more information on the Diamond Valley Railway, head to their website.